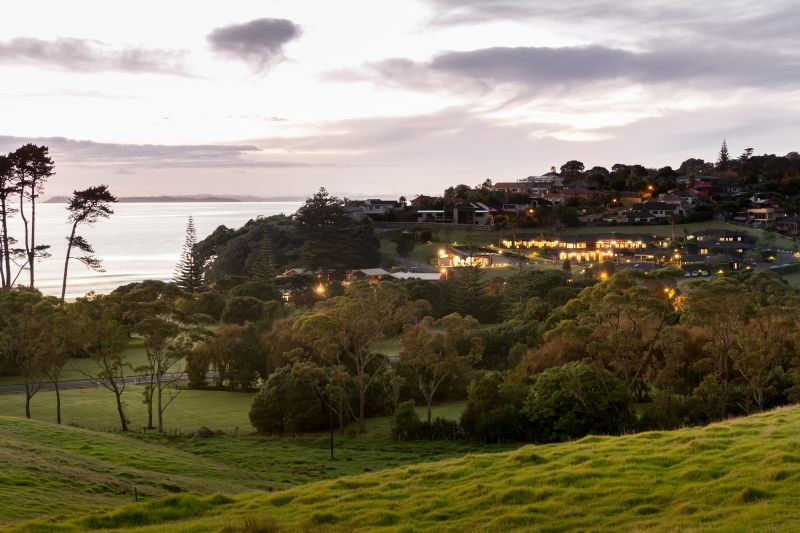 The tranquil setting of Vaughan Park overlooks Long Bay, one of the most beautiful bays on the North Island of New Zealand. Adjacent to the Centre is the Long Bay Regional Park and Long Bay is part of the Okura Marine Reserve, which protects the beaches, rocky reefs, estuarine mudflats and mangroves along the east coast bays. To see our location, please click here. Vaughan Park is easily accessible by public and private transport. Shuttle Bus is available from the airport. The driveway is not suitable for large coaches. Large coaches need to discharge passengers in the public car park in Beach Road, or by the driveway entrance gates. Car park spaces are provided at Vaughan Park close to the accommodation units. There are spaces specifically reserved for people with ‘Mobility’ cards. There is also a public car park on Beach Road. The AA online time and distance calculator www.aa.co.nz/travel/time-and-distance-calculator will give you route directions from anywhere in New Zealand. The Park is a wonderful place to discover and enjoy immediately adjacent to Vaughan Park. From bird and wildlife watching, to child and family friendly activities, barbeque facilities, diving and snorkelling, kayaking and canoeing and swimming in the sheltered bay. There are also some spectacular and beautiful river and cliff-top walks nearby to explore. Sir Peter Blake KBE was the world’s most celebrated yachtsman. After winning and defending the America’s Cup, he pursued his passion in protecting and caring for the environment and his legacy is The Sir Peter Blake Trust which offers life-changing leadership opportunities, programmes and adventures for New Zealanders, young and old. The nearest shopping centre is at Torbay, only1km away. Larger supermarkets and shops are 3kms away at Browns Bay and 5kms away at Albany. You can also find the St. Francis Catholic church, the Immanuel Korean church, the Baptist church and the Trinity Methodist church in Torbay. 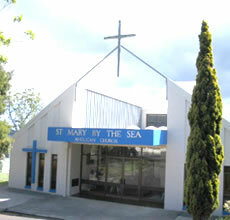 There are other churches in Browns Bay too.